Map is a Geoinformation Services company that provides specialized services in production and provision of mapping data. It was established in 2006, is now located at Holargos, Attica and operates in Greece and abroad. 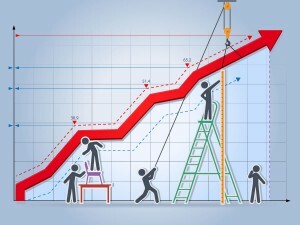 Since its founding, the company has been showing remarkable growth rates which are indicated by the company’s financial statements (turnover and profitability), the increase of the scientific staff as well as the improvement of the operational tools (software, hardware, facilities of the new offices). The activities of Map are continually expanding. Up until now, many infrastructure projects of significant demands in high technology, expertise and experience have been completed. Nowadays, the company operates abroad (e.g. Egypt, Saudi Arabia, Bulgaria and Sub-Saharan Africa) and has also established abroad a network of permanent collaborators who provide complementary, supportive services. Map has been certified (International Quality Certification) with a Quality System that is applied in full compliance with the requirements of the international standard ISO 9001:2008. The successful completion of large-scale projects for both the public and the private sector prove the continuous effort and credibility of the company from 2006 until now.